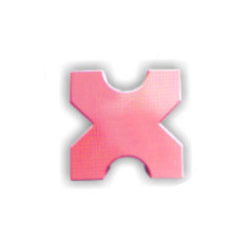 Our organization is involved in manufacturing and supplying of a wide range of Fancy Interlocking Grass Pavers. The range is our latest innovation to fulfill the shortage of lush green areas in our urban life styles. These pavers are exclusively designed to provide maximum space to grass cover while also supporting vehicle movement. The range we offer can also be availed as per clients' specified needs of finish, design and style. Moreover, we offer these products at highly feasible prices.